This is the latest instalment in our series highlighting my favourite new seasonal cloths - providing a heads-up to readers on those that will mostly only be around for six months. It’s interesting to see how the ranges develop. While Caccioppoli is always great for those wool/silk/linen summer jacketings, and Zegna is the most urban - all dark reds and petrol blues - every season there are small changes, with Zegna looking rather more casual this Spring/Summer for example. This time I’ve also dropped in a few of the new bunches from English mills that are doing something significantly different - in this case the Indigo bunch from Harrison’s and summer jacketings from Holland & Sherry. A linen specialist, Solbiati isn’t that relevant for Autumn/Winter bunches but comes into its own in Spring/Summer. It has probably the largest range of plain, lightweight linens out there. So if you like the 8/9oz Italian weight of linen rather than 11/12oz Irish ones (they wrinkle more, but also breathe more) then this is the bunch to go to. I particularly like the grey tones - such as NS13022 and NS13023. 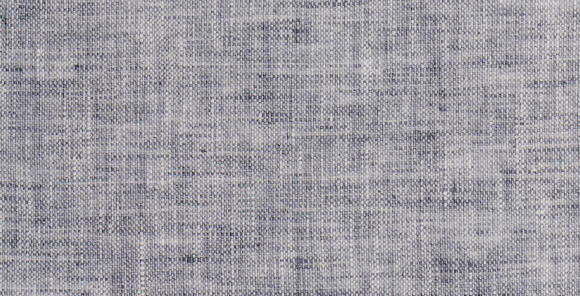 It’s not easy to find a grey linen that works, but if you can then it’s a great substitute for grey flannel in the winter. 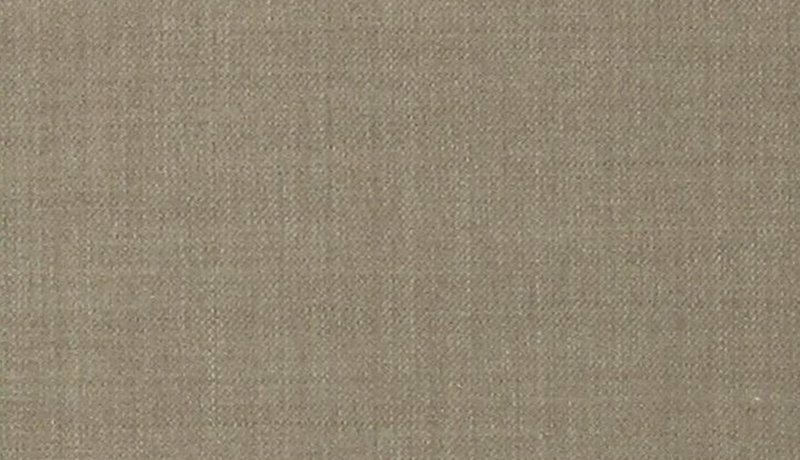 The TimeOff bunch from Solbati has their wool/silk/linen range for jacketings, which doesn’t have many subtle checks I’d recommend, but there are some nice plains such as NS12035 and NS12033 (250-260g). Loro Piana (which of course owns Solbiati) had less this season that jumped out as interesting and fresh. They normally have something in an orange or lime-green that I’d probably never wear, but is done well enough to make me consider it. However, looking at the new version of the Tasmanian bunch did remind me how good they are for lightweight summer suits. In the winter I’d want something heavier, but these 250g worsteds are lovely - not too fine, a nice balance of luxury and performance. Navy and grey is easy - and there is every type in the bunch somewhere - but I personally always like the warmer, more casual colours, like the greige of N691072 or deep brown of N691081. 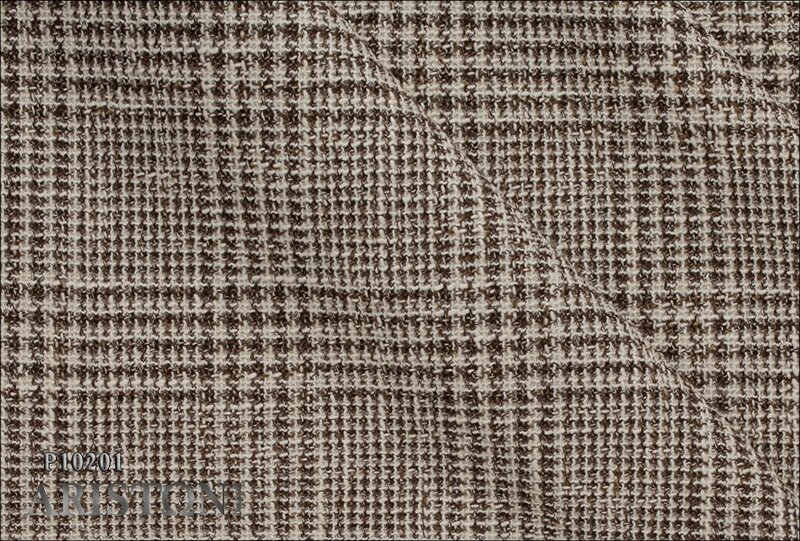 Piacenza now has better distribution in the UK, through Yorkshire Textiles, and I’d recommend looking at them for their camel hair. There is a whole bunch of just camel hair, called Dunes, and while most of the weights are fairly light, the colours and patterns are more than you’ll find anywhere else. 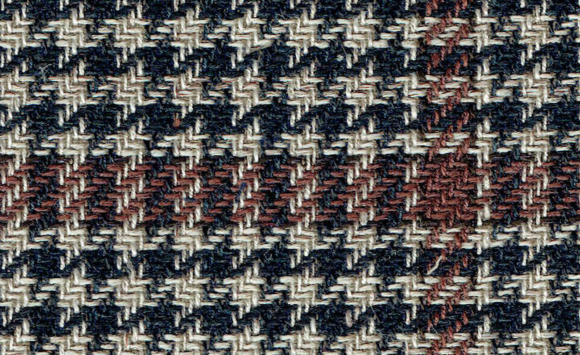 One of the subtler patterns is my favourite, 4/35. As I mentioned at top, it’s interesting to see how the Zegna range is becoming a little more casual - most obvious in the way they style the cloths. 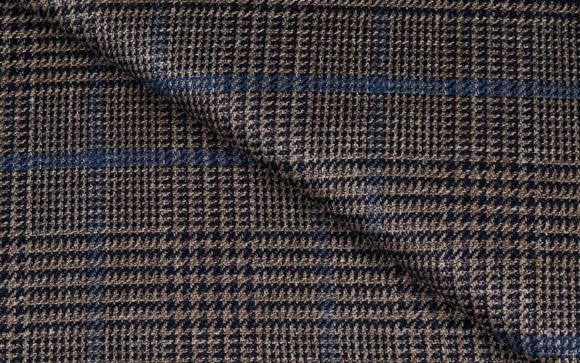 Zegna is one of the few mills that includes pictures of models wearing the cloth made up, which can be helpful, in subtle tonal fabrics in particular. In this season’s Anteprima book, there are a lot more polo shirts and knits going under, under those tailored jackets. I’d pick out 61014 (230g wool/silk/linen) and the deep greens like 61063 (260g wool/linen). 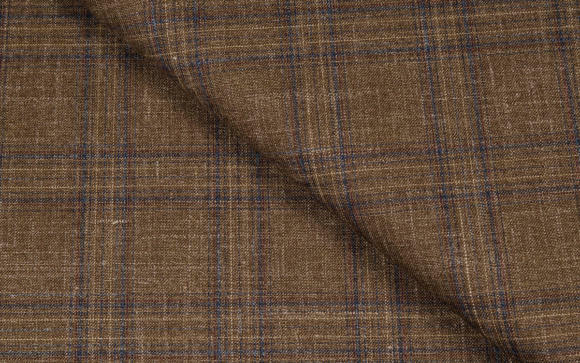 Caccioppoli is normally my go-to for summer jacketings, and there are the expected variations on subtle-check-over-brown. 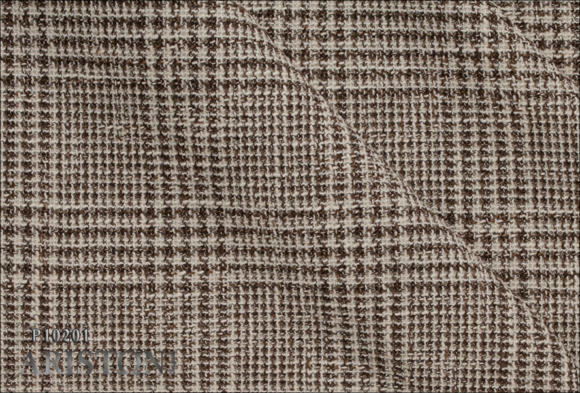 The biggest variation is often the texture with these staple cloths, and they do produce different looks. Compare 390103 (290g) and 390135 (250g), for example. One is a much thicker, coarser yarn, which uses that robustness to have an open weave to let air through. The other uses a finer yarn that is lighter in weight and smoother, but not as breathable as a result. 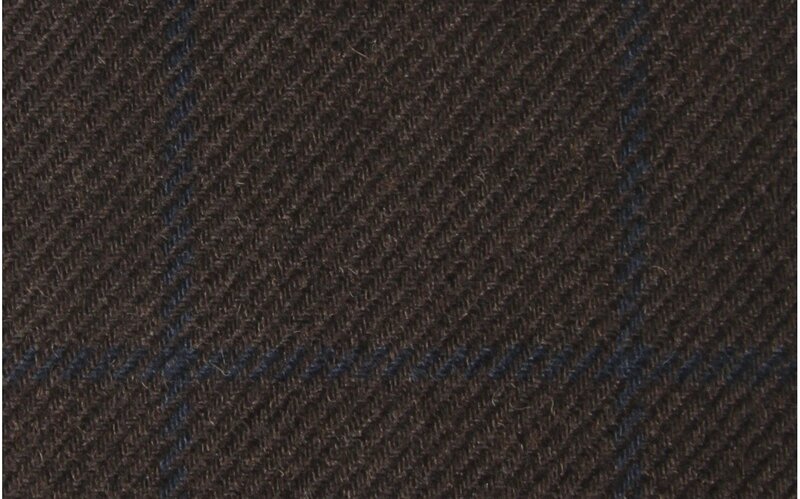 In terms of looks, its similar to the difference between my Solito and Dalcuore jackets. 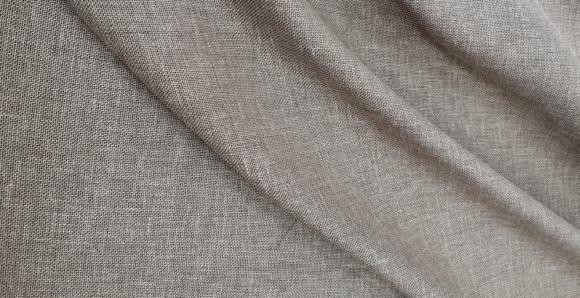 Caccioppoli also have a range of Irish linens which is unusual, particularly as they’re lighter in weight than most at 190g, yet still with the stiffness associated with Irish linen. The Vintage range from Vitale Barberis Canonico was one I saw launch at Milano Unica in February (reported on here), and it’s now carried as a bunch by Drapers. It is a distinctive collection, with a lot more creams rather than whites, and colours you rarely see in other collections such as a vibrant, grassy green. If you’re after something different that isn’t too showy, it’s worth a look. I’d pick out 5220 or 5217 (both linen/silk/cotton, 280g). Ariston is normally the crazy cousin among Italian mills, and this season is pretty typical. There’s camo, loud windowpanes, even jersey suggested for jogging trousers. 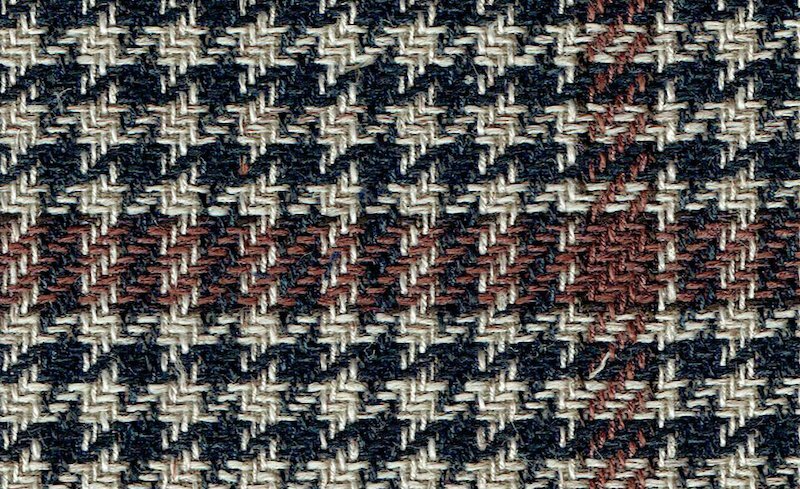 However, there are some nice pieces mixed in too, such as the natural-feeling cream/brown check P102-1, which is a 330g wool/cotton mix. That has a small amount of polyamide in it, which I don’t mind if the designer feels it’s needed. 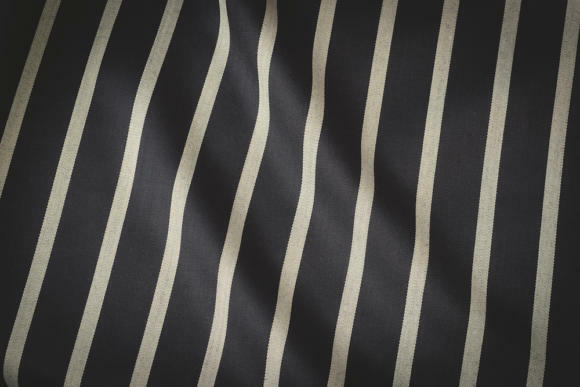 But I’d steer clear of the ‘high twist’ linens that are 26% polyamide, even if it does have a lovely slubbiness too it like D074-03. Lastly, highlighting some new bunches (but not strictly seasonal ones) from the English mills, Harrison’s Indigo bunch is worth a look. Most of it isn’t actually indigo in colour - though there a few at the beginning. 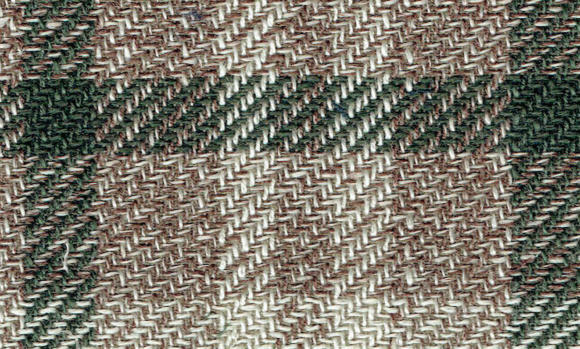 Rather, it’s the Harrison’s take on wool/silk/linen jacketings, which here means taking out the silk entirely and offering wool/linen. Apparently it was felt this was more English, without the slight sheen of silk. 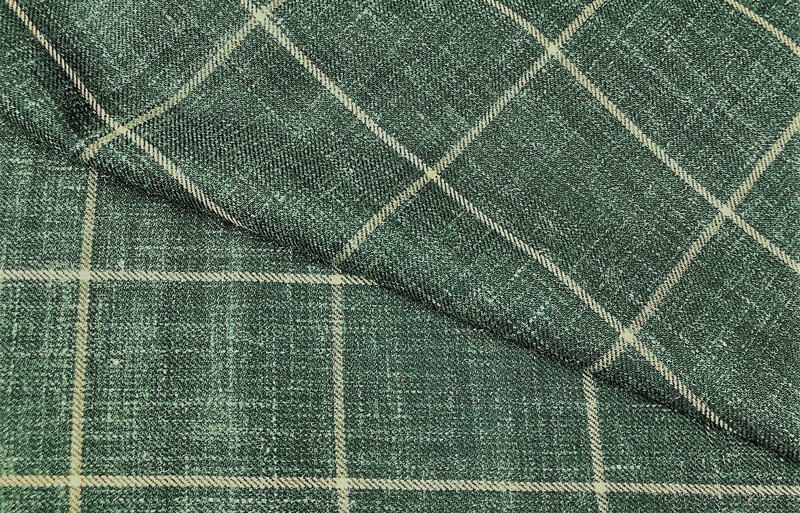 Below is a nice green with a shade of indigo: 98217, 8oz, 80% wool and 20% linen. The Holland & Sherry Oceania bunch isn’t new, but it’s a little more experimental than usual. 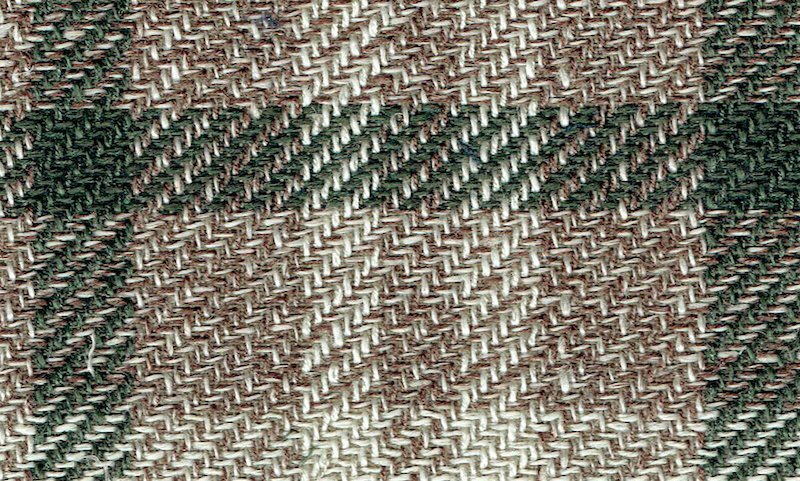 After the usual patterned jacketings (for which I normally prefer Caccioppoli) there are several cottons in unusual patterns, including the bold slubby stripe of 1619952 (10oz) - which almost has a Japanese feel - and the sugary pink/green/blue stripe of 1619960 (9oz). The latter feels similar in inspiration to the rowing blazers bunch from H&S, which is certainly catching onto a fashion. The only one I’d wear from that would be a navy stripe like 1919008 (7½oz). Nice that it was my college colours too. You can follow the discussion on The best cloths of Spring/Summer 2019 by entering your email address in the box below. You will then receive an email every time a new comment is added. These will also contain a link to a page where you can stop the alerts, and remove all of your related data from the site. A lovely survey with the exception of the knock on Solbiati. 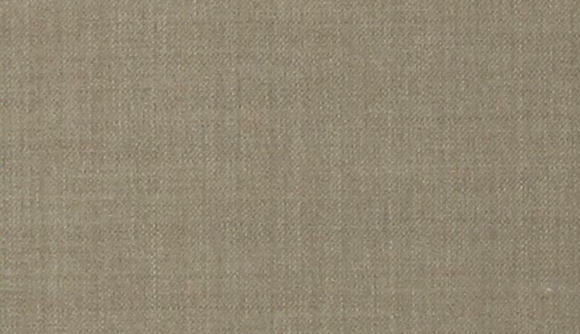 Besides cotton and linen, they have a third element: soft jacketing, which you can find in their Graffiti collection. This is a fall-winter offering; there’s even a range of flannel. 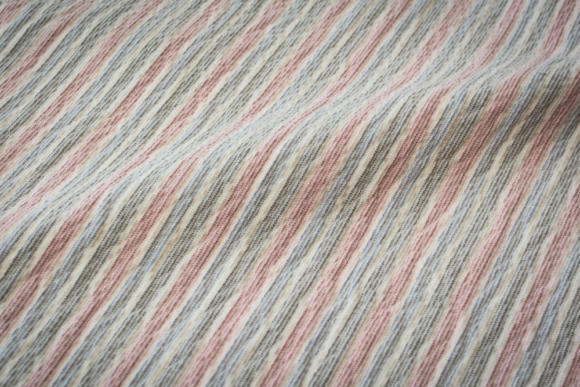 They also have a Winter Cottons book with twills and corduroy with colors and treatment you would not find elsewhere. Hmmm! 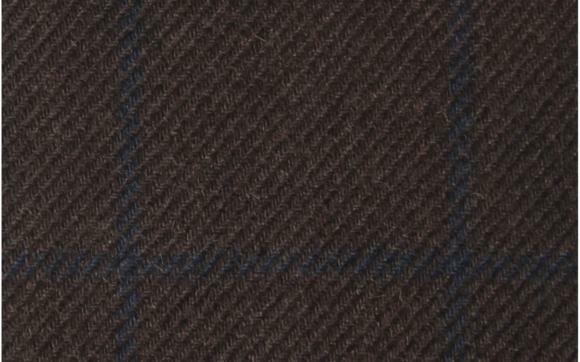 Brown Glen Check seems to be a current trend! ……… er……………… nothing new this season from Scabal or Dormeuil ? I am looking for a new summer suit for HK weather and am struggling between two options. First is a silk blend fabric. 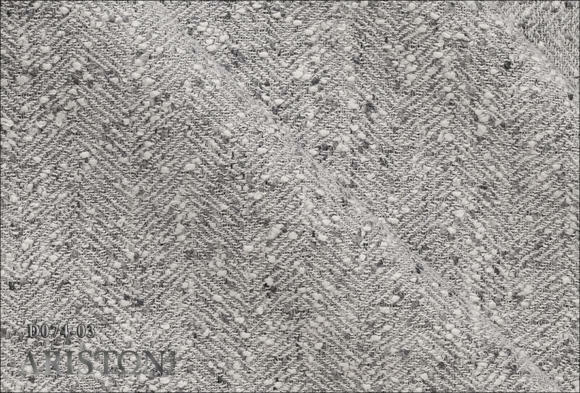 It is Moonlight Shimmer from Holland and Sherry (240g 50%Silk 45% Wool and 5% cashmere). Second is HS Crispaire. As I am kind of skinny, I am looking for something that is stiffer and with a good drape. I’m thinking of buying a summer suit and I’m torn between buying one of the peg at drakes or having one made at graham brown. Given that they are of a similar cost point, do you think Graham brown would be able to make a suit in a similar aesthetic to a drakes off the peg suit. 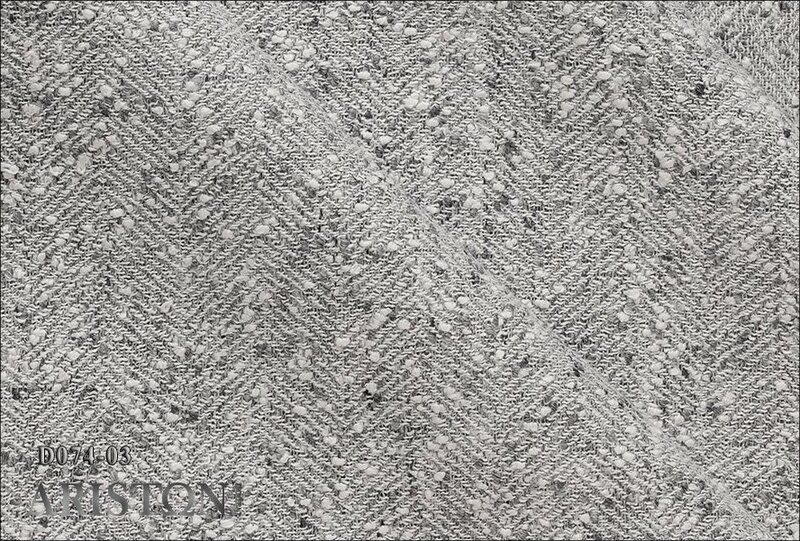 Simon, what’s the best way to order these fabrics? If you have to pick a summer cloth, would you pick HS Crispaire or VBC revenge? I forgot to put Perennial on the list. Out of perennial / revenge / crispaire, which one would you recommend for a summer suit? Really like these cloth articles. Some of those you mentioned above get a lot of attention in the shop. I think a high-twist performance cloth run down would make a great feature. It used to be only a couple of mills (Minnis, Smith) had this offering. Now almost every one has some version. Could be cool to hear reader input too on feel / performance. Nice point, thanks Joseph. Yes, we’ve been planning for a while like the linen one we did, but haven’t had time yet. 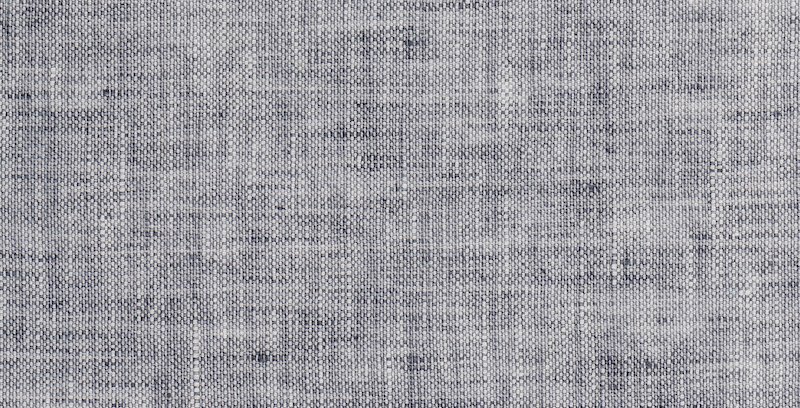 Is there any cotton/linen blend you would recommend, mainly for trousers? 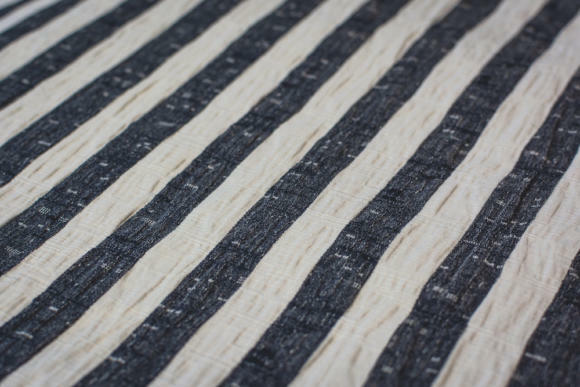 I would prefer a linen blend without wool or silk, mainly because it makes it slightly easier to maintain by doing things like spot cleaning when needed. Hi Noel. With trousers I’d go with pure linen personally. 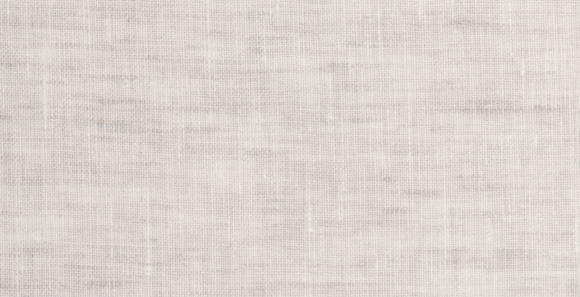 The only reason I’d go for cotton/linen is for style, to have something more casual than pure linen. Many thanks for your reply. I agree regarding style. 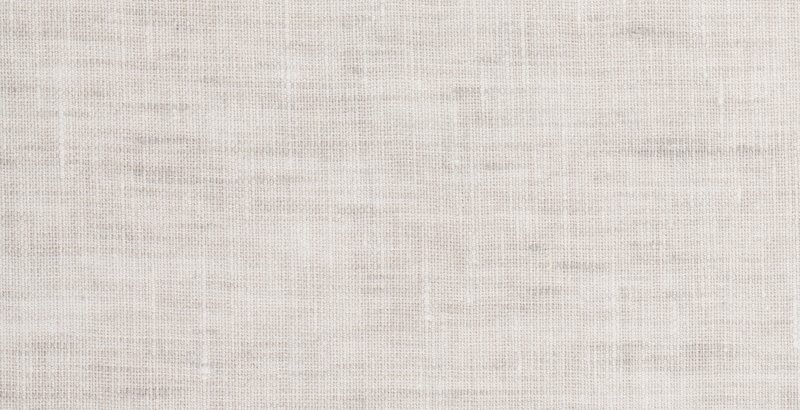 My question was a bit confusing, but I was wondering more about which merchants might have linen / cotton blends if I want to go for that sort of cloth. 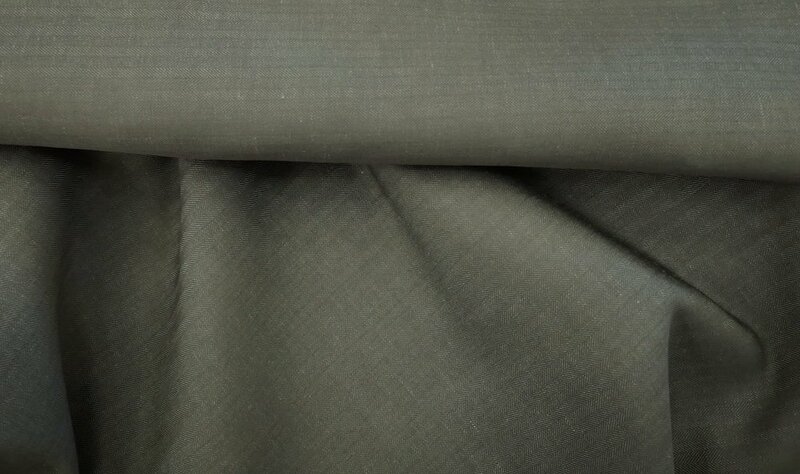 Would you suggest light or dark brown button on a light grey suit? 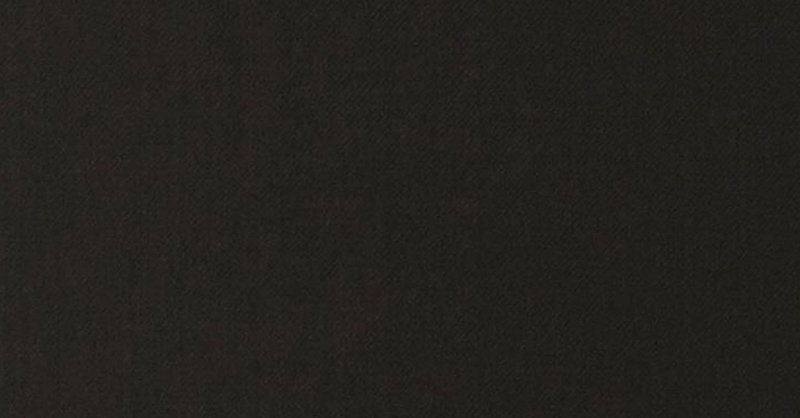 It depends what you will wear the suit with, but probably dark brown – it will be more versatile.